LG Exalt VN360 user guide manual – LG Exalt VN360 is feature flip phone model for Verizon Wireless with 3 inch of display and 2 megapixel of main camera. The flip phone offer a stylish design for users with Bluetooth 3.0 wireless technology and Voice Clarity to enhance the sound quality of high-frequency sound by default. Other feature is that equipped on the Android QWERTY slide phone is technology that can reduce the risk of loss of hearing users. LG Exalt VN360 for Verizon Wireless equipped with specifications and features such as: 111 x 52 x 16 mm (4.37 x 2.06 x 0.62 in) in dimension with 110 g (3.88 oz) in weight, 2 megapixel TFT main camera 256 k colors 320 x 240 pixels screen display, microSD up to 32 GB, Li-Ion 900 mAH battery with up to 430 hours for stan-by time and up to 5.5 hour of talk time. 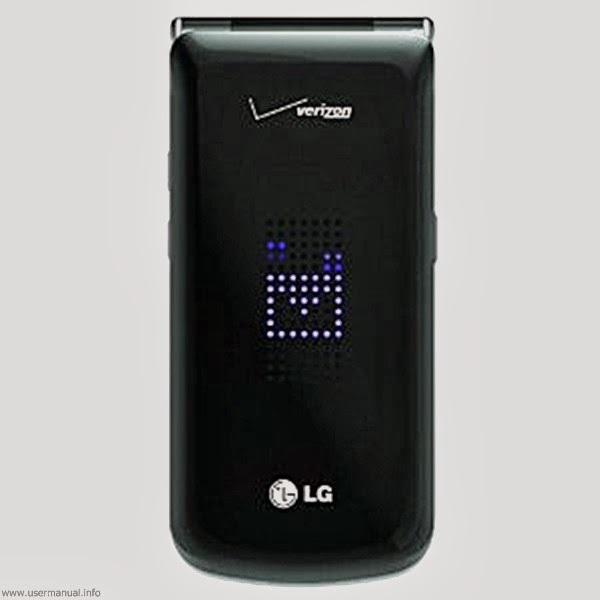 LG Exalt VN360 user guide manual for Verizon Wireless available in pdf file format with 3.67 MB in size and contains of 121 pages. The manual pdf also vailable in Spanish language with 4.07 MB size and 137 pages. On manual guide the phone you can find basic knowledge of the phone such as: remove the back cover, replace the back cover, insert the battery, removing the battery, how to charge it and others.